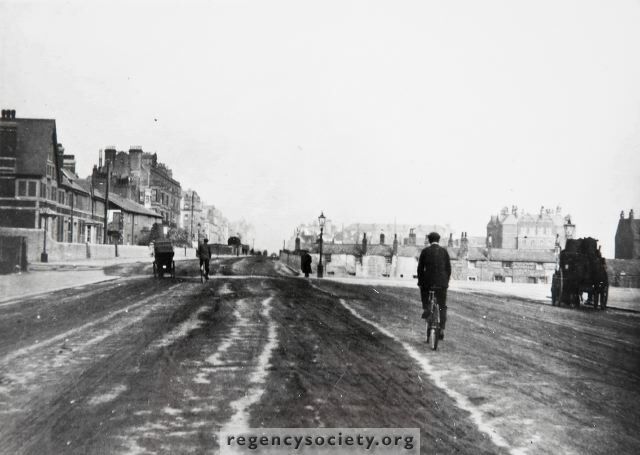 These photographs show the narrow stretch of Kingsway between St Aubyns and Hove Street, before its widening later in the same year. Four of the ancient Beach Cottages were removed for this purpose. On the left are the Coastguard Cottages and, just beyond, some of the original cottages that they replaced.